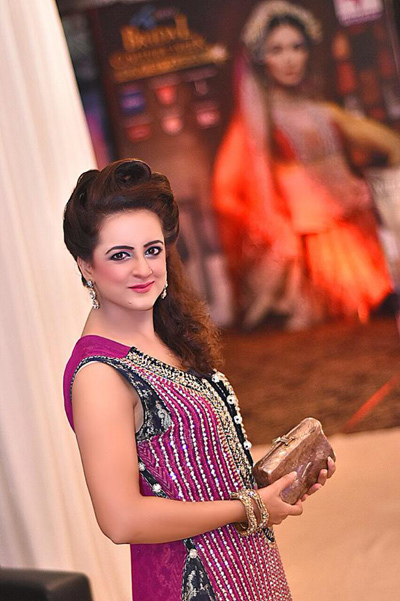 Muzna is a Pakistani actress, model, and television host. 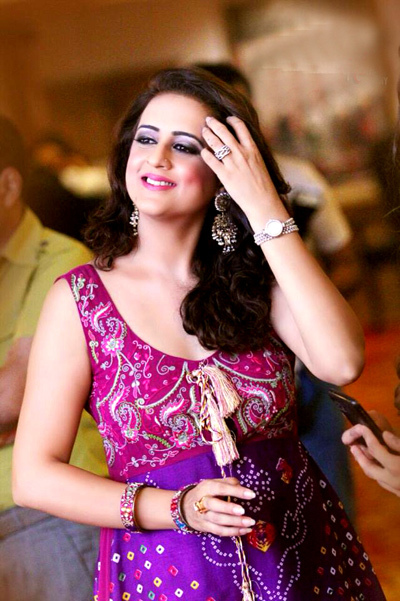 She has worked in numerous Pakistani dramas. After quitting modeling long ago, she is focused entirely on hosting her television talk shows and corporate events which is her forte. 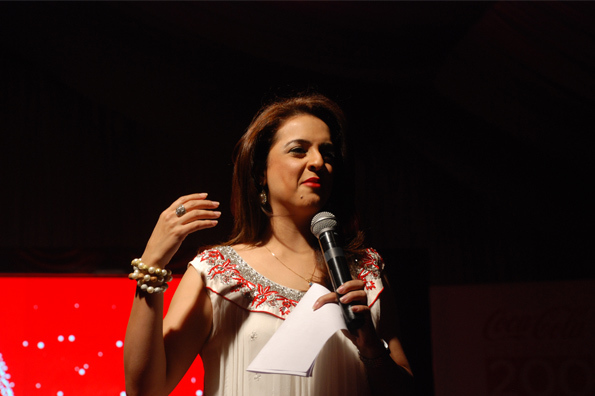 She has recently launched a patient welfare association two days before Ramazan called ‘The U Within Association ‘ that deals with the timely diagnosis, treatment , rehabilitation and counseling for patients with severe skin diseases such as Urticaria and Psoriasis . Here she just gave such an exclusive interview by sharing her hidden keen thoughts of how she has managed her professional & personal life so well…. So for the full ride, here you go! 1. “The routine for hosting a show or any red carpet”, MUZNA does that put a LOT of pressure on you, and if yes, how are you dealing with it? I have a very simple and fairly standard routine before I go on stage for a live event, or the red carpet or the sets of a transmission or talk show. It is mandatory for me to talk to the client if it’s a corporate show and obviously the director and producer if it’s a TV show, it is necessary for me to get a feel of what they have visualized and its during these discussions that I get clarity on how to proceed and add my mark to the job too. 2. What’s the best thing anyone has ever said about your work? As for pressure it may not be as much as when I was first starting out, but fact is that I am still always a little nervous before walking on to stage. Moin Akhtar once told me that the day I stop getting butterflies in my stomach before walking out in front of a live audience or otherwise I should know then that I take my work very lightly and may as well quit. I have received many compliments and even constructive criticism over the years for which I am grateful. 3. How would you describe your childhood? I was raised in Kinshasa, Zaire. Now called the Democratic Republic of Congo after the civil war. My two younger sisters and myself were raised in a compound on the grounds of which were me dads factories and office blocks and also our residence , with lush lawns, tennis courts, a pool , club house ,vegetable gardens and acres of jungle in the back. Playing in sand boxes, sliding on muddy slopes and chasing butterflies, learning to respect nature and love animals so different from how I see kids being raised today. I can only hope and pray that i am able to do for my daughter what my mom did for us. 4. What about acting…why people see you less on-screen? I quit acting a long time ago; I just wasn’t able to cope with my hours at the hospital and the commitment and dedication it takes to shoot a play or soap. I still tried to choose to work with directors who could understand that I was a doctor first then an actor and I must say that everyone was very accommodating. But I finally had to quit because I just didn’t think it was fair to the other actors who sometimes had to wait for me on the sets. What was worse is I never got scolded because they not only understood but I also felt they had a sense of pride too. My last play was a telefilm I did with Imran Abbas, Muhamad Shafi and Talhat Hussain , all of whom have dealth with my “emergencies” and still supported me unconditionally . That’s when I realized I needed to make a choice. 5. Have your HOSTING brought about a real change in today’s woman’s mindset? As an artist I’d like to think that I have evolved as a person and in my work … I have seen television evolve as well. Some of the changes were good and some just broke my heart. When I was doing the morning show for PTV we had some amazing personalities as our guests, people with vision people who had accomplished so much people who could truly ignite some sort of a spark in our youth. As a host our job was to be prepared and well researched, to extract experiences from our guests, highlight moments that were inspirational, and above all have a conversation that was stimulating and interesting to everyone. It was all about the guest period. Things have changed now; priorities of channels have changed too. I understand that ratings are important. But a line needs to be drawn somewhere. 6. How are supportive your family and friends with your profession? My family undoubtedly has been supportive. I wouldn’t be working if they were not. As for friends, that question is a little difficult to answer. I feel till today that I missed out on a major part of my youth. I just wish I was a better judge of character. I have gotten pretty tired of pulling daggers out of my back. 7. How much importance do you give to ratings while deciding content for your show? I have said it before and ill say it again, ratings are important but they are not the end of the world. We need to stop underestimating the intellect of our audiences. I’m sick of producers who justify the obnoxious content they run on morning shows saying that this is what the people want to watch. You have started ramp modeling also, so what circumstances stopped you to continue? The ramp was fun while it lasted, I had a couple of experiences that threw me off and made me uncomfortable early on so I didn’t continue. Recently I was asked to be a celebrity show stopper for a couple of designers and had I not been committed elsewhere I would definitely given it a go again. 8. Do you think to do modeling on a ramp is more easy than hosting a show??? 9. What is the best part about hosting a show? What is the hardest? The best part about hosting a show is the feeling of control, of having the attention of people and addressing them is it face to face in one of my live corporate shows or a TV recording. It’s really that simple. The worst part is not being given the freedom at times to talk about issues that I think are important for fears that perhaps only my directors and producers understand. I never will. 10. What do you wish you had more time for? I wish I had more time for being silly, laughing, spending time with friends which I do more of these days as a conscious effort of balancing my life out ….Above all I wish I had the time to go back to practicing medicine. 11. Don’t you feel bored, working in a same profession since many times? 12. How many kids do you have, and how old are they, who look after them and your servants? I have one beautiful daughter, Alleyah Zehra. She just turned 3. My life has taken such a turn since she was born. I have had to re structure and re prioritize my life around her. Many people who have seen me with her doing things that mommies do with their babies are stunned firstly by seeing a celebrity being so normal and maternal and then they wonder how I made the sacrifice. What sacrifice? She is my child, she is a piece of me …the changes came naturally and from the heart. It sounds corny but I feel that my life has become more fulfilling and certainly more meaningful after her arrival. 13. Where would you like to be in five years? In 5 years I hope to have gotten back to my practice. It’s a dream of mine to have a beautiful children’s’ clinic complete with a separate vaccination area, labs radiology and a minor injuries theater. Also at some point have a talk show one in which I have carte blanche to do what I want. Hint hint!!! 1. What’s your favorite holiday spot? Anywhere in Africa. Hands down that’s a no brainer. 2. What do you value most in your friends? Closed in spaces. Getting stuck in a tunnel, or an elevator. Greys Anatomy / House M.D. Beach definitely I love swimming, snorkeling etc. and if that’s not an option then cuddles with Alleyah and I read a book while she watches baby TV. 7. What makes you impatient? Stupidity I have no tolerance or patience for. I find Oprah Winfrey incredibly inspiring. Nothing is impossible for her. 11. Most typical Pakistani thing about me? 12. When are you happiest? With my baby, my friends her friends. Or when I am outdoors. 13. Favorite piece of furniture at your home? My dressing table and all the goodies it holds. 14. Song you just love to dance in it with so passion? There are so many “like a prayer by Madonna” “cheerleader by OMI” are just a couple. 15. Describe your ideal fun night out? Coffee and conversation with friends while our kids are playing nearby … life is simple and it’s the simplest things that I derive the most pleasure out of.